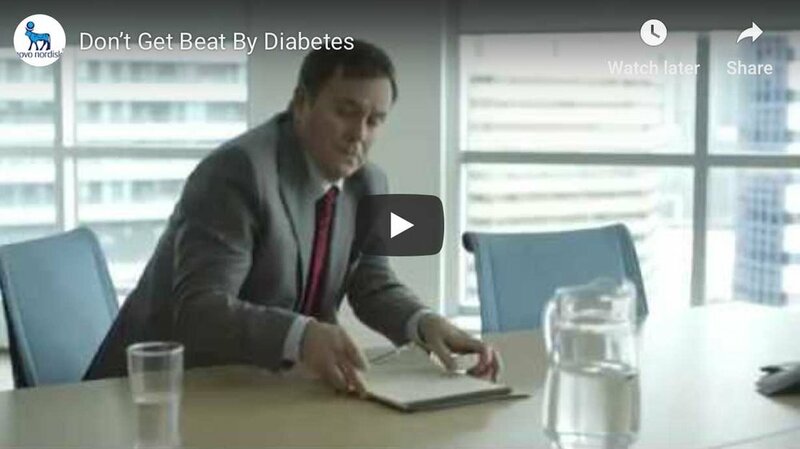 When John Poulter was diagnosed with type 2 diabetes in 2003, just a few months short of his 50th birthday, he was prepared for the diagnosis. “I knew the symptoms and that these things are passed on from generation to generation, as there is a history of diabetes on my mother’s side of the family,” he says. John Poulter is a “big-time sports fan” who has type 2 diabetes. Nor was he concerned about his doctor’s advice to stay away from alcohol, tobacco and rich food. “They were all things I had no interest in, so there really wasn’t much I was forced to give up,” says Mr. Poulter. But that doesn’t mean that managing his diabetes has been without its challenges. A self-described “big-time sports fan,” Mr. Poulter has season tickets for baseball and hockey, in addition to watching English soccer and participating in a curling league. As a sideline to his career in banking, he does a weekly radio show on baseball or hockey, depending on which particular sport is in peak season, and writes a weekly column for a U.S. website. To effectively manage their disease, people with diabetes are taught to carry healthy snacks or glucose tablets to manage blood glucose lows (hypoglycemia). This helps them resist the temptation of unhealthy food options, as hypoglycemia causes hunger. However, in following this advice, Mr. Poulter found he was running afoul of the rules of the hockey stadium, which only allows food and drinks purchased from stadium vendors. The stadium has a policy that allows people with diabetes or similar conditions to bring in healthy food, but frontline staff members and fans are not always aware, he reports. The result is that fans with diabetes may feel they have to choose between giving up their healthy snacks and not seeing the game. “Frontline staff don’t seem to understand that diabetes is a condition that requires some special treatment – and management doesn’t seem to understand that a policy is only as effective as the people who are the first line of contact for their fans,” says Mr. Poulter. With one-third of the Canadian population expected to have diabetes or prediabetes by the year 2020, accommodating people with the disease is an increasingly urgent challenge for public events facilities. The Canadian Diabetes Association (CDA) acts as an advocate for people with diabetes who experience barriers to being able to manage their diabetes in public. Its position statement Diabetes Self-Care in Public Places addresses issues such as the need to carry healthy snacks and emergency glucose into public places, as well as the public use of insulin needles and syringes and blood glucose monitoring supplies. “People with diabetes must be permitted to manage their diabetes in public in order to prevent or treat hypoglycemia and hyperglycemia,” says Joan King, manager of outreach and individual advocacy at the CDA. The Diabetes Charter for Canada, introduced this year, also addresses the need for individuals with diabetes to be treated with respect and dignity, and to be free from stigma and discrimination. “We certainly don’t want individuals to be ostracized or to be stigmatized in public places,” says Ms. King.